Humble Bundle kicks off fall with a whopper of a deal. The Humble Monthly Bundle is regularly one of the better deals in all of gaming, providing multiple good games each month less than it would cost you to pick up a decent hamburger and a beer. Last month, Overwatch headlined the bundle, marking an all-time low price for Blizzard’s hero shooter. Normally, that would be an incredibly tough act to follow, but the folks over at Humble Bundle seemingly have no chill. The new November Monthly Bundle is headlined by some absolute bangers. For $12, you’re gonna get Hollow Knight, Hitman: The Complete First Season, and 7 Days to Die, along with a mystery pack of games to be revealed at month’s end. 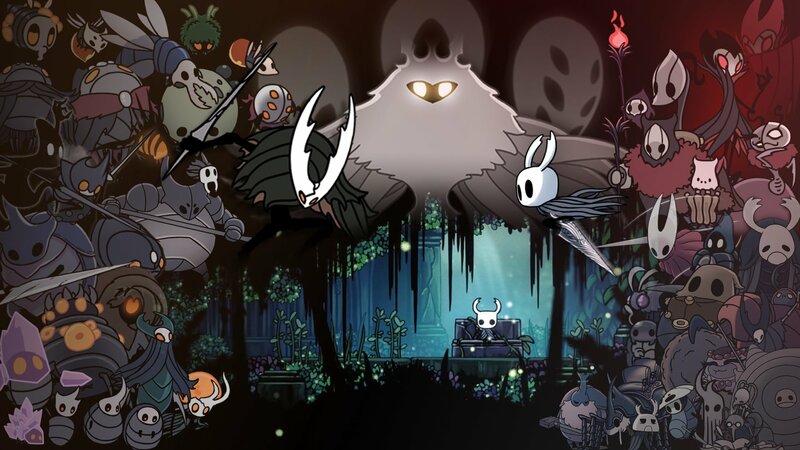 We cannot begin to write enough good things about Hollow Knight. It finished as runner up for our overall Best PC Game of 2017 award and found a spot in my personal Best of 2017 list, but inexplicably failed to find a wide audience until it launched on Nintendo Switch this summer, instantly becoming one of the top ten games on the platform. Hitman: The Complete First Season is an absolute must-play for just about anyone. IO Interactive unleashed its best game ever upon an unsuspecting public with a unique episodic strategy that kept the game fresh for months. While the premise is as simple as killing your target, the game’s mechanics offer seemingly endless opportunity for hilarity. Agent 47’s most recent outing would be a steal at this price by itself. While not as acclaimed as its bundle cousins, 7 Days to Die is one of the most successful zombie survival games ever made, and offers multiplayer co-op modes, so you can jump into the base-building and zombie-killing action with a friend. As always, the Humble Monthly Bundle offers these games as Steam keys. You can grab the November Monthly Bundle at the Humble Store right now. those are early unlocks for the november bundle. That's an incredible early unlock. Replace October with November and the article is okay.